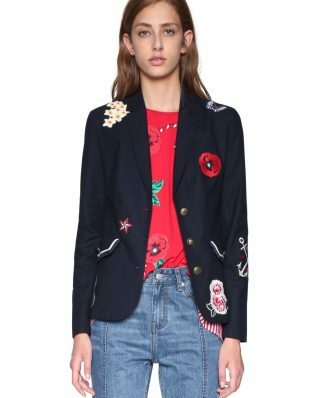 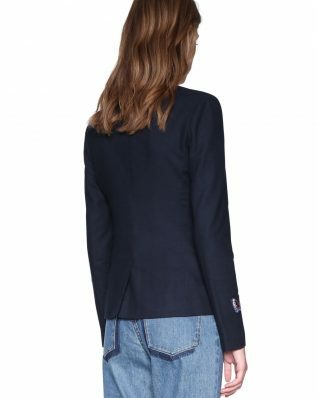 Desigual Jacket “Megane” – a beautiful dark navy blazer reminiscent of the seaside style (from “Sailor” collection) with colourful raised floral patches, embroidery, as well as seams with nautical anchors, front fastening with three metal buttons. Comfortable fit, medium weight fabric. Very stylish and timeless, never out of fashion!